Oprah Winfrey once spoke about how much she had been harshly and unfairly judged at different times. She had often been taken to court and had always put a lot of energy into defending herself. But one day, in court, she made a decision. I’m not doing this anymore. She said she knew she wasn’t guilty of what she was being accused of, and she chose to let that be enough. She said no matter what anybody thinks, or how many people damned her, she knew what the truth was. unassailable. It takes a lot of nerve and courage not to defend yourself when you’re being judged for something that you know you’re not guilty of. I think it can be important to state the truth and stand up for yourself, but sometimes it’s a waste of time. Somebody who is judging you has already shown you that they don’t have any interest in knowing the truth about you. They don’t care enough about you to want to be fair. Judgment can be that dark shadow. It’s driven by stuff in the past – unresolved anger, fear, hurt. But here’s the thing: nobody’s judgment can actually alter the truth about you. I reckon to know that is to step away from the shadow and stand in the sun. Truth. There was a time when I thought it was always a black and white thing. I was wrong, it isn’t. There’s truth within a logical or mathematical system, like one and one equals two. Or it’s conditional – a four-legged table won’t stand on its own if one of the legs are removed, depending where the legs are and how heavy the table top is. But between people? It’s way more complicated. I can come into group of people and believe everybody is avoiding the truth, but what truth am I thinking of? The truth of what I can see? How do I know that what I can see isn’t just a projection of my own unresolved issues? One thing I know is that when I make a judgment about them there’s definitely unresolved stuff in me. I judge them so I don’t have to look at me – because it’s too painful. I used to be so sure of myself in what I saw in other people, because emotions are clear to me. I see them like people see colors. It makes a group of people confusing for me because all the emotions are flying around at one level, but often it seems to me that they’re not being acknowledged, so there’s a whole other level at which people are interacting. Sometimes it’s like a swarm of giant bees in the room. The mistake I made was in thinking I understood what motivated people to do the things they did, and understanding the why of their emotions. I can see now that I can’t know that. I can speculate, but my speculation won’t amount to a hill of useless beans. Useless being the operative word. I don’t even always know it for myself. In fact judging by how many times I’ve thought I did know, only to realize later on there was more to learn, I can never know the whole why of anything I do at any given moment. So I definitely can’t know it about other people. So where does truth between people lie, especially if I’m in a relationship with somebody and some kind of behavior results in me being hurt? Maybe the only thing I can be sure of is how I feel and what I need. Hold myself away from judgment of them altogether, because all my judgment does is hurt them and possibly provoke anger. If they get angry I’ve got the option of saying they’re a trouble-maker and judging them even more, refusing to take responsibility for my original judgment. But where’s that going to get me? Absolutely nowhere. I might feel righteous, but it will be at their expense. It’s passive aggression. I can kick you and get away with it, make it look like it’s your fault. I think we all do this at different times. It’s the way our culture operates, it thrives on judgment and avoiding our emotions and our own truth. I know I’ve done it a lot and I still do. It’s a seductive thing because my truth can be excruciatingly painful. But hard as it is to accept, it doesn’t achieve anything – for me or anybody else. Truth between people? It’s hard. My truth isn’t going to be the same as your truth. It’s definitely not black and white. Life isn’t black and white. Everything happens in the grey area. So is what I’ve said here the penultimate truth? No. It’s just mine. And I have no doubt it will evolve, if I let it. I didn’t get to see the last Oprah show yet, but there’s the most beautiful photo of her in the paper today, crying, her arms outstretched. I bet the whole audience was crying. What a phenomenal woman. She’s been compassionately alongside so many people’s lives in their journey, inspiring us, giving us hope, teaching us that yes, we’re worth it and yes we can! No matter what the odds. She’s shown us with her brutal honesty about her own challenges how we need not be ashamed of our own. How we can step out of history. And most of all how every single one of us has equal importance and equal rights to a life that’s fulfilling, inspiring to us, that our dreams can come true. Something she said years ago really sank home for me – she said people worship celebrities, herself included, and lose their own sense of who they are. They make comparisons between themselves and these super- successful stars that just aren’t real. Don’t live for me, she said, live for yourself. Become your most important person to you. One of the things I’ve loved about her the most is that despite her phenomenal power, influence and wealth she’s remained at core trustworthy and who she’s always been, except that she’s grown within herself. Her ego hasn’t bloated, she hasn’t become obsessed with her wealth and power. She’s stayed true. Her goal seems to be to help people create a better life for themselves, and she’s got more and more skilled at it. Another thing I’ve loved about her is her amazing capacity to embrace the biggest idea possible and to encourage others to do the same. To even help them along the way. That ability is rare and I think it’s a pearl of great price. Her generosity of spirit towards life and people is too fabulous for words. Something that seems to have really blossomed in her over the past couple of years is her extraordinary capacity for joy, to have fun. It has a richness and a depth to it that makes it so profoundly meaningful. Now that has truly inspired me! I saw a show where she did a shoot for Ellen DeGeneres. It was a cover for Oprah Magazine. She wore a fabulous, sensuous red dress that embraced her full figure and didn’t try to hide anything. She looked stunning and had such a ball with it. This passionate woman has got heart and so much soul. I think she’s changed the world and the way women look at themselves, she’s broken down a lot of the myths about what we can’t do. I’m glad I’ve lived in this time that she could be a part of my life. And I’m very glad it’s not over, that she’s still going to be around, on OWN. At a time when she could easily rest on her laurels she launched out into something new, and even risky. That’s pretty inspiring on its own. 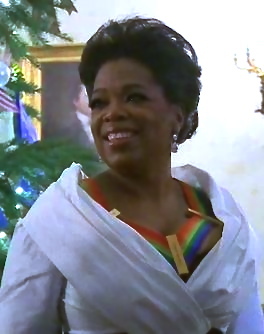 Thanks Oprah, for everything you’ve done so far, for people, for men, women and children. And thanks for what you’ve done for me, how you’ve inspired me, reminded me of all that’s good in life, taught me to keep reaching and never give up. To me you’ve embodied unconditional love. I wish you the best of luck for what lies ahead of you. Btw, I’m busy making my own life important to me, but I still want to meet you. The age of information and connectivity, didn’t it start out being such a miraculous thing. The whole world seemed to open up and be that much more available to everybody. There’s been good and bad to that. Think about the non-violent Egyptian Revolution, how it happened in about 18 days because of Facebook and Twitter. Think about being able to talk to and see friends living on another continent. But one of the downsides is that this miraculous age seems to be heralding the end of the concept of privacy. And there definitely used to be such a thing. And it was a reality too. But now? The other day I saw a news clip on Chinese hackers. A Chinese security expert showed how in about 15 seconds he was able to get into somebody’s email account and crack the password. That’s pretty horrifying. But worse, if you’ve got the latest Apple iPhone, did you know that the operating system has a hidden tracking file which has been tracking your every move? Two journalists and researchers Pete Warden and Alasdair Allan say they discovered the file called “consolidated.db” which came with Apple’s updated mobile operating system in June 2010. I guess it’s unauthorized surveillance. Warden and Allen say they reported their discovery to Apple, but haven’t heard anything from them. Apple hasn’t responded at all, even though this has now been reported on major news networks. Apparently the data is collected using cell phone towers to triangulate approximate locations. So far, there’s no evidence that it’s also transmitted to Apple as it’s collected. The biggest problem with this seems to be that usually a court order is needed to gain access to this kind of info, which is collected by cell phone providers but kept behind a firewall. I didn’t even know that. I don’t like anybody collecting info about me without my permission. I’m tempted to throw my cell phone away. It’s a nuisance anyway. Because let’s face it, who cares about court orders these days? Anyway, this file makes it possible for anybody who can get access to your phone or the computer it’s synced to, to know where you’ve been, so you’re pretty unprotected. But you didn’t give Apple permission to create the file or collect the data, and they didn’t warn you when you bought your iPhone. Warden and Allen have created a program which lets you see a map of everywhere you’ve been since June if you’ve got the latest iPhone. Click here to try it out for yourself. Sam Biddle, a Gizmodo editor, used the program and was appalled at how accurate the data was, recording his every move in his professional and personal life, block by block for months. Apart from how sinister it could be, I’m gobsmacked at the monumental cheek of it and the permissive entitlement. This is what happens when companies have too much power, they start doing whatever they feel like. Nobody seems to know why Apple has inserted the spy-file, because they haven’t said a thing yet. What are they planning to do with it? Will we get the truth from them, or will they just spin it? Somebody once said it’s pointless reading anything “factual”, because you don’t know if it’s true or not. It was a bit alarming coming from him, since he’s a cardiologist. But it got me thinking about the authority we give to the written word and specifically the Internet. People love lauding this era as the Age of Information where you can find anything on the Internet, but I think it’s the age of information madness. It’s true that there are gazillions of facts to be garnered every second of the day on any topic, but how many of them have any foundation in reality? The Internet gives everybody a voice which is great, but the package doesn’t come with a requirement either to tell the truth or to think for ourselves when we read something. It’s pretty much up to us to figure out and chart our own course. For many people the truth is important – in all areas of life – but a lot of people couldn’t care less. The word information implies truth, but how much weight does that implication carry now? A case in point was a Spanish face transplant story I read about once. I was amazed at how many variations there were of it. Surely with a simple story like that fact is fact? Apparently not. According to one story the face transplant patient was an unnamed Spanish farmer between the ages of 20 and 40. The transplant was done at Vall d’Hebron hospital in Barcelona, by a team of surgeons led by Dr. Joan Pere Barret who claimed he had performed the world’s first full face transplant in a procedure that took 24 hours. But another source said the transplant couldn’t be considered full face, because the new part the patient received was only from the eye sockets down. Yet another source claimed the operation took place in the La Fe hospital in Valencia, and was performed on a 43 year old man from the Canary Islands by a Dr. Cavados and his colleague Dr. Luis Landin, 2 other surgeons, some anesthetists, other staff and twelve nurses. The operation apparently took 15 hours. It’s the Age of “Information” that’s for sure. But distortions parading as truth get disseminated globally at the speed of light and gather power and authority as they’re read by people who don’t question anything and pass on what they read as fact to the next gullible reader. And the less value truth has. So what’s the harm? Who cares? Well the harm is when some poor unsuspecting person who needs a full face transplant goes to the man he thinks is the world expert. Who actually isn’t. Who may not care to correct his unsuspecting and trusting patient. In a world gone very virtual the power of the written word can have more authority and importance than reality. With so much false information coming at us truth and reality can be hard to pin down. Now more than ever we have to value and develop our independence of mind and our capacity to question everything and to not blindly accept the written word as gospel. We have to think for ourselves. Nothing’s going to rescue us from that. Assange, Obama and the Alleged US Conspiracy. Innocent Until Proven Guilty? Well, Julian Assange is out on bail. I watched him emerge from Wandsworth Prison last night, to face a barrage of flashing cameras and cheers. He thanked those who had supported him and his team; his lawyers; journalists who hadn’t been “taken in”; and the British Justice System where, he said, “if justice isn’t always an outcome at least it’s not dead yet”. Assange has some very creditable people supporting him, which lends authenticity to his mission and to him as a man. Today I read an article on dscriber.com about a letter written, by faculty members of Columbia University Graduate School of Journalism in New York, to Barack Obama and Attorney General Eric Holder. The authors (writing in their private capacity) believe that leaks don’t damage American democracy, but government overreaction does, and that prosecuting Wikileaks staff will set a very dangerous precedent “for reporters in any publication or medium, potentially chilling investigative journalism and other First Amendment-protected activity.” They urge Obama to “pursue a course of prudent restraint in the Wikileaks matter”. For the full article and the letter, click this link. The world has gone beserk over this issue, and understandably. There’s a lot at stake. But truth is getting very blurred on both sides. On one hand the [often US-driven] media image of Assange as a neurotic, out of control anarchist with a chip on his shoulder doesn’t appear anywhere close to the truth. As this saga unfolds, and Assange reveals more of who he really is it becomes increasingly clear that the neuroses and the distortions lie elsewhere. With the US and Obama? I’m not so sure. I’m beginning to think they lie more with the media reports and rumors, and not just on the part of those who are against Assange. When he was first granted bail, there was an appeal against it. The media and Assange’s lawyer represented that appeal as allegedly coming from the Swedish prosecutor. Which very quickly became absolute truth. It was the Swedish authorities. That turned into the entire Swedish government being in cahoots with the entire US Justice Department which wants Assange extradited into Sweden on a trumped up charge. Then Sweden can hand him over to the US where he can be tried for espionage and dispensed with. Hold your horses! Last night on BBC a commentator said categorically that the Swedish authorities had not in fact launched the appeal against Assange’s bail. He said the British authorities did it, because that’s what they always do in extradition cases where there appears to be a flight risk. According to him there was no skullduggery, it was just the British Justice system doing its thing. Assange was given a fair hearing, the outcome of which was that it was understood he’s not a flight risk. So the tiny little bit of truth – that Assange’s bail had been appealed – has been elaborated on and cloaked in a lie, and turned into an international conspiracy. As for the US intention to extradite Assange and try him for espionage, and the role that Barack Obama is apparently actively playing – I can’t find evidence of that either. I find people saying “there are rumors” and “so and so is allegedly…” and “it’s been said”. I haven’t seen proof. I’m very aware that the fault could lie with me in that I’m just not looking in the right places. I’ll continue to look. Emotions are running so high and when stakes are so high, it’s easy to lose track of what’s real, no matter which side you’re on. But if we support journalistic freedom and truth, and we expect the US to respect it, then we have to respect it also. Innocent until proven guilty. We want it to apply to Assange. But not to the US Justice Department, and not to Barack Obama. Why? Do we care about truth or don’t we? The story of Julian Assange and Wikileaks continues, as does the war of opinions as to whether harm has been done, or a lot of good. There have been a lot of snide remarks about Assange, and the myth that he’s some kind of anarchic superhero seems to be growing exponentially. I recently saw him interviewed by a journalist. He’s not a madman, that much I can say. He spoke lucidly; to the point and very articulately. In short, he’s perfectly sane, despite the circus that surrounds him. He answered a lot of the questions that people are debating. On the topic of the supposed necessity for diplomatic secrecy he said “Truth must come first. Without it, no public policy is coherent.” I agree. Why do we need a world of secrecy? It looks suspiciously like a euphemism for a wall behind which anything goes. Our policy-makers are humans, they’re liable to bias and errors of judgment under the best of circumstances. Under the worst, corruption and outright abuse of power. They need us to see what they’re doing, just as much as we need it. One of the other questions people bring up a lot is that the leaks have put lives in danger. In response to a question about that, Assange said that 20,000 people have died since 2004 in this war. The danger lies in the war continuing. Hard to argue that. He also said he understood the need to fight the Taliban and Al Qaeda, and that aggressive force had to be used in that fight, but that could never justify all the acts that occur in war. In other words, those acts that are not legitimate need to be exposed. We’re either in the business of being humane and trying to improve the quality of life for everybody or we’re thugs – that’s my comment, not his. What about the accusation that the leaks are contributing to demoralizing the troops? Assange replied that they are already demoralized, because they’re acting outside of the judicial process and are killing innocent civilians. If they want their morale to improve, they have to behave differently. He is good at cutting through empty rationalizations. As an aside, I have to say that Bradley Manning tried to behave differently, didn’t he. So I guess that’s why the troops don’t rebel. Well, those that are alive, anyway, or haven’t had some part of their bodies blown away. People in the business of war don’t honestly care about genuine morale. They care about conning the troops into believing they’re doing the right thing. So Assange is right again. Let’s face the truth. Let’s let the troops have real morale – and the only way to do that is bring them home, before they lose body parts and have their souls destroyed by what we force them to do because we don’t want to face the truth. On the subject of whether he would ever visit the US, Assange said that he’d been advised by his lawyers before this (on another matter) not to set foot on American soil, but that the US needed to understand it was being watched by the rest of the world to see whether it would investigate the “crimes that are probably to be revealed by the leaks” – or if it would investigate the messengers. The subtext is pretty clear. Is the US really interested in the truth and dealing with it? As far protection of sources is concerned, Assange said Wikileaks has never lost a source and that it has the best history in journalism in this regard. Their technology means that they don’t identify sources, they simply verify the material. When asked whether his agreeing to support Bradley Manning wasn’t an acknowledgement that he was a source, Assange said no, that he felt morally obligated to help Manning by offering support to pay for his counsel, because Manning had been accused of being an alleged Wikileaks source. He spoke about many other things, amongst them that yes, sometimes his life is threatened, and sometimes it is like scenes from the Bourne Identity. He wasn’t joking either. But he was matter of fact about it, and I didn’t see a man playing a superhero role. In fact he said the idea that he is such a creature is ridiculous. Wikileaks is a huge organization, with a lot of people contributing. He happens to be the public face, which is why he’s taking all the heat. But if he were to die tomorrow, Wikileaks would continue. I believe Assange is genuine in his belief that truth is of primary importance. We’ve become very soft about truth in the world today. We accept all sorts of compromise and “ends justifies means” arguments. But when people like Julian Assange and Bradley Manning, and an organization like Wikileaks draw a solid line in the sand, I feel grateful. So I want to say thank you. You have made the world a safer and a better place for me. And I think it’s pretty heroic.